for $1,125,000 with 4 bedrooms and 3 full baths, 1 half bath. This 4,487 square foot home was built in 2013 on a lot size of 0.210 Acre(s). Stunning one of a kind custom built luxurious Arcadia home on the 15th tee box. You can't beat the views from this gorgeous home. Maintenance free living in the Villages at Longview makes it feel like you're on vacation year round. 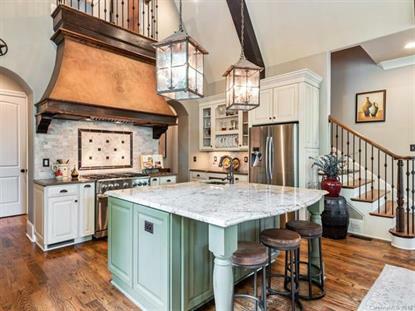 Beautiful details abound in this home that's perfect for entertaining. The oval office overlooks the 14th hole and offers privacy. The large great room has amazing golf course views. Prepare to be wowed: Tall ceilings with wood beams are the focal point of the large gourmet kitchen that flows into the great room with a stone fireplace. Entertain your guests on the patio in front of the beautiful outdoor fireplace. Gorgeous landscaping, Treks decking & fire pit make the back yard a great place to entertain or enjoy a cup of coffee. Master suite on main has his & hers closets, jetted soaking tub, dual vanities, large walk in shower. Large movie room with built-ins up. A perfect home for the most discriminating buyer! 3K Buyer agent bonus upon close.